Getting, and keeping yourself motivated to consistently improve in life; whether it’s in business, fitness, family, or all of life, is often a wrestling match even the elite experience from time to time. But don’t ever consider throwing in the towel when ‘tough’ times are upon you, as there are plenty of proven solutions that ensure success, and they’re closer than you think! As a health, fitness and Olympic Strength & Conditioning Coach my profession extends beyond instructing physical exercises and sports performance skills. Great coaches must also integrate a variety of mental conditioning tools that inspire, educate, and motivate each of their athletes. These mental instruments are designed to train the MIND so the athletes (and students) can then train their bodies for higher and higher levels of achievement. These techniques are not confined to athletic enhancement; they apply to all goal-driven motives. However, in today’s fast-paced society too many people are approaching their transformational quests with an incorrect frame of mind, and this leads to failure. Of the two, the ‘have to’ guy or the ‘want to’ one, which ‘mindset’ would you place your bets on? Body, sports, business or life, mental fuel comes in a variety of grades. And if a person desires high levels of achievement they must function with ‘high-performance fuel’ as the ‘mental’ energy charging their exertions, and this ‘between-the-ears’ focus is what makes a dramatic difference between success and failure. The ‘high-performance fuel’ I’m referring to is ambition, desire, and passion! Want to, not have to! It’s no surprise that there really is a mind-body-life connection. So when I declare the solutions are closer than you think, the answers that yield ultimate levels of achievement and success are (literally) located inside your (intangible) Mind; while your body and your manifested life can be regarded as the (tangible) Matter. When the mind is properly conditioned; energized with ‘want to’ motivational powers and desires, one can enthusiastically, and confidently, approach their tasks, challenges, obstacles and goals with that “For Sure” attitude. They literally engineer their lives from the Inside-Out, and nothing stands in their way. Over time, that person continuously unleashes their truest potentials, a gift they always possessed but just needed to stay-the-course until it was set free. 5-Step Success Plan that REALLY WORKS! STEP 1: Define your mental attitude. Do you resemble the ‘have to’ person or a ‘want to’ one? This is the first thing step you MUST establish, because it really is Mind over Matter. Once this seed principle is firmly implanted into your consciousness the success you’ve been striving for, and deserve, is not only possible, it’s inevitable! STEP 2: Everyday—literally, you must write out your goals onto a sheet of paper. Make certain you write from an ‘already-acquired’ viewpoint, such as “I am a strong person” or “Everyday, in every way, I am better and better!” Something magical happens when the brain can generate a thought that physically, and visually, gets recorded onto paper. STEP 3: Everyday, after you write down your goals, you must read them out loud. Again, there’s a phenomenon that occurs when you profess what you’re envisioning to manifest in your life. Simply hoping, or silently thinking or wishing for a goal to manifest has little or no stimulating power. Stand up, assume the role of your own coach and motivator, and say aloud, with conviction, “Everyday, in every way, I am better and better!” Affirmational vibrations connect with, and influence Universal Consciousness. STEP 4: Write out two more lists; the first itemizes all of the things you need to do to obtain your goals, and the second list outlines all of the things you must avoid and/or eliminate that are standing in your way. STEP 5: Make a date with yourself: Treat yourself every week to a positive engagement. Donate time to a pet adoption center. Visit a nursing home and hug an elderly person. Reach out and counsel confused kids and their parents. As you continue to improve in your own life you must ‘give back’ by inspiring, motivating and guiding others along their own life’s journey. Everybody, even the elite, experience tough times and often fall off track. It’s not that they fell off track that matters but how fast they get back up and move onward that counts. Be a champion. People love and admire success stories and heroes. Prove to yourself that you possess the skills, drive and motivation to obtain your goals, in spite of any setbacks. Develop the confidence; ego if you may, that failure is not an option. If you do fall off track, don’t stay there long. Just stand back up, dust yourself off, lift your chin and chest, kick yourself in the buttocks, then re-GO for it all over again. Remember, you are your own coach, motivator, and disciplinarian. Nobody is going to do it for you, that’s you’re responsibility. You are a success that’s always in the making! Finally, investing in yourself pays huge dividends now and forever. Make up you ‘mind’ then watch your body and life (‘matter’) mold into the image your thoughts have impressed into your psyche. You and the world surrounding you are a much greater place because of YOU! Do it! Think Up™ – Keep the Passion! John Abdo is an Olympic Strength & Conditioning Coach, Master Fitness Trainer, Life Motivator and author of numerous books and articles. For more information please visit www.JohnAbdo.com. Set goals. follow a plan, remain committed, and never give up! Fat wants to remain on a person’s body when they have accumulated it. ANALOGY: Fat is fuel, just like the gasoline in your car’s gas tank. The trick is to shuttle the fuel from the tank (or your hips, love-handles, etc) and drive the fat into the engine, your muscles. Proper activity, with healthy consistent eating, serves as the fuel-line and fuel pump that shuttles fat from your tanks into your muscles’ Mitochondria; these are your own fat-burning furnaces. Once you have fat-burning under control you have RE-SET your metabolism and now you’ve become a fat-burning machine yourself. Physical fitness has skyrocketed in the last few decades. There are greater numbers of individuals performing various activities in attempts to enhance physical appearance, athletic performance, psychological states of well-being, and the overall quality of life. Clinicians of all sorts, athletic trainers, physical therapists and body sculpturing specialists are prescribing the fitness lifestyle as the remedy for premature aging, obesity, muscular weakness, stress, fatigue, insomnia, hypertension, immune system dysfunctioning, headaches, joint ailments, depression, metabolic disorders, skeletal imbalances, poor circulation, and many others. With all its growing enthusiasm and awareness people still need education and t remain committed, they require motivation. Here’s some information that keeps people dedicated to taking better care of themselves. Every physical and psychological function requires energy. If we had no energy we simply could not function or exist. We obtain our energy from the foods we consume as they supply varying levels of energy. Food energy is calculated in measurements known as Calories. When we eat we’re supplying our bodies with caloric sources of fuel that make everything we do happen. We release this energy by: 1) Moving; all physical activities, 2) Thinking; all psychological functions, and by, 3) Metabolism; the operational and recuperative functions of the body. Of these three, Moving, “physical activities”, requires the greatest supply of energy to conduct its chores. Metabolism, on the other hand, burns plenty of calories after the body has been stimulated with activity relying on additional calories to fuel the body’s reparation process. “Thinking” is also an energy burner. Our minds require energy to operate, but those who are experiencing the effects of being overweight cannot merely rely on this activity source for ample caloric elimination. People who are depressed, angry, bitter, and easily agitated, burn a tremendous amount of energy. There are those however, who while imprisoned by negative thoughts try to combat and/or alleviate their pessimistic emotions by gluttonizing on pleasure-filled tasting [junk] foods, drugs and other deviant activities. So even though they’re burning calories in their hypertensive state, the kinds and amounts of foods they’re consuming simply overloads their systems. [We need to keep a clear understanding that food is fuel and fuel is energy in the form of calories. So whenever I’m talking about food, fuel, energy, or calories, basically, they’re all synonymous]. Each of us possess a specific rate of metabolism which converts food into energy for activity, the operational functions of life, and the repairing of damaged tissue. This conversion/reparation process is always operating whether we’re active or sedentary. The goal then of the athlete and health and fitness enthusiast is to periodically expend the effort with exercise or activity then allocate ample time to recuperate. This cyclic process allows the body to burn off more calories both during exercise and the post-exercise metabolic periods. So those who believe the fat-burning, strength-building, health-promoting benefits of fitness are confined to the actual times they are exercising are in for a big surprise! The benefits of exercise extend well beyond cool-downs as metabolism takes the baton and runs its operation of repair that is fueled by calories. In other words, we can lose fat while we’re doing nothing at all, that is, after you’ve performed something that stimulates the body in the first place. I call this metabolic momentum! Those who partake in an active lifestyle develop a greater number of benefits than initially expected. Even though their intentions may be to reshape their bodies and lose some excess body fat, or increase the quality of their daily lives, fitness will not confine itself to just these benefits. The fascinating fact about activity participation is that it produces a positive psycho-physiological chain-reaction influencing the entire being, as well as ones’ overall lifespan. Many individuals engaged in physical fitness for the sole purpose of increasing their levels of energy. The process of energy enhancement is scientifically complex, but a relatively simple one to apply. All one has to do is perform an adequate amount of activity; without overdoing it, and eat correctly; Mother Nature takes over from there. Since muscles are metabolically active, while fat is inert, those who are more physically fit and stronger are those who develop higher metabolic rates turning their bodies into fat-burning machines that possess incredibly high levels of energy. The relationship between fitness and knowledge blends nicely especially when one understands how their own body performs under various conditions. Consistent participation in activities develops a harmonious communication between the mind and body. And with our nervous system headquartered in our brain, this intricate system relays electrical mental impulses messengering this data to various body tissues. 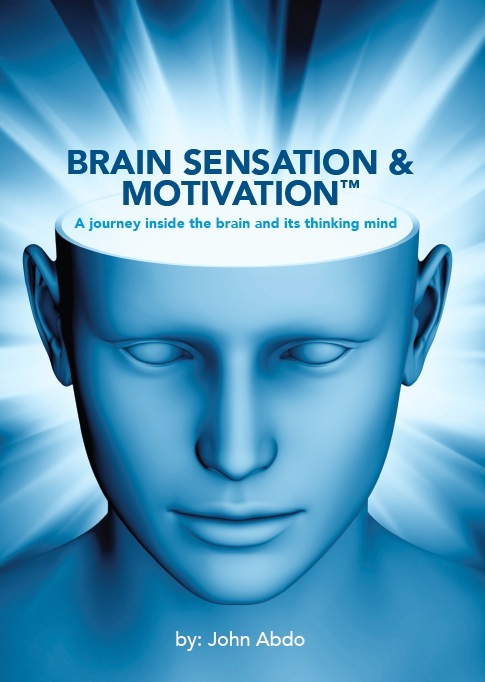 When an action is requested or required, the brain will consent to the demand by commanding an immediate impulse. For those who are unfit, the deliverance of such commands has no assurance for accurate delivery, or may become delayed by weak mental signal-sending abilities. Thinking makes us smarter, and activities force us to be thinking above the norm. When we’re having fun performing our activities, we are happily thinking, and developing higher levels of fitness at the same time. The better fit we are the better we can think and concentrate. The body is more alive. Our bodies are literally held together by a network of over 600 muscles and their relative tissues (i.e., tendons and ligaments). Weakened muscles cannot hold our skeleton in proper alignment as the body shifts out of its natural position. 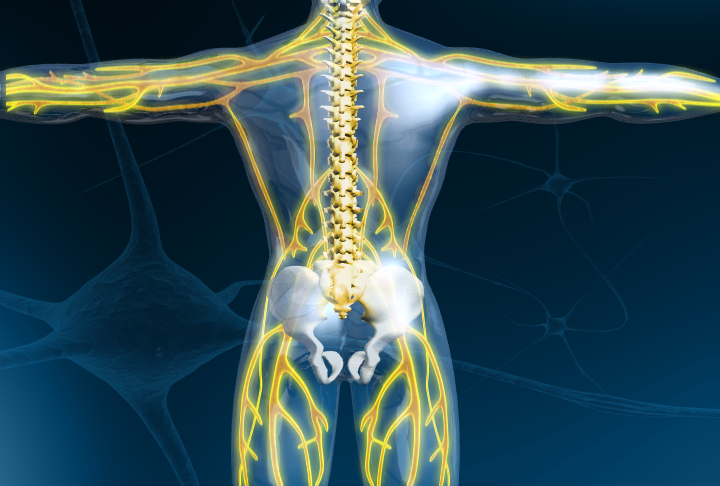 Our skeletal network is comprised of over 200 bones that rely on muscles to remain postural and functional. If we had no muscles at all our skeleton, and all its bones, would fall right to the floor. So as our muscles strengthen with activity the better our bodies will be held together, and the better we move. You’re aware that the heart is a muscle? It is! In fact, the heart is a muscular pump responsible for the distribution of blood to all areas of the body. When we are involved in activity, our hearts beat at accelerated rates. This acceleration stimulates strength benefits to the heart similar to other muscles while increasing the supply of nutrient-rich blood to all tissues and organs throughout the body. As the heart beats faster while we’re active so does our rate of breathing, or respiration. Oxygen is our life-supporting gas that we cannot do without for very long. We can go without food or water for days, but without oxygen we can’t last more than a few minutes. As our respiration (breathing rate) increases, our lungs expand and contract beyond normal [or resting] capacities. The lungs are two elastic-like sacks that collect the air we breathe. As we inhale, the lungs absorb usable oxygen, and then as we exhale, eliminates toxic gases. Millions of tiny holes called alveoli allow the oxygen to seep into our bloodstream from the lungs feeding the body with this most precious life source. The better we can breath, and the more oxygen we get into our tissue, the stronger we become. Looks? Certainly! When you become active the benefits don’t stop below your chin. Your face receives a tremendous number of benefits as well. 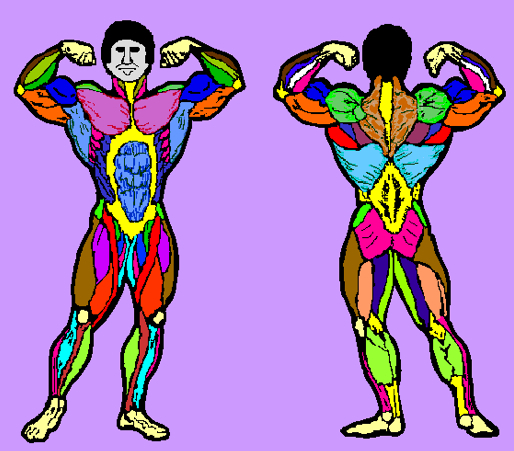 Since sedentary muscles become weak and sag, facial muscles are no different. When your body muscles are strong and firm, your facial muscles often follow the same pattern of progression. While you exercising you’ll notice that your facial muscles acquire a great workout. To prove my point, try looking someone straight in the face while they’re doing a set of pushups or lifting weights. While they’re in a state of exertion their facial muscles twist, pucker up and contort during their exercise as the muscles of the face tone themselves at the same time. It’s easy to postulate that the better you take care of yourself the stronger, healthier and more energetic you become. It’s also a fair assumption, which many anti-aging and longevity communities believe as fact, that by increasing the quality of daily living ensures extension of lifespan. The investment needs to be made early to yield health and longevity benefits. Pay now and enjoy the dividends of vibrant health as you continue to mature! Every once-in-a-while I’m asked, “John, when I reach my goals, can I quit?”. I promote fitness as a lifestyle, not a short-term plan. This is a way-of-life that enhances each of your days for the rest of your life. Always maintain an active lifestyle and healthy mental attitude. If you’ve reached your goals, be glorified with your accomplishments then shift over to a maintenance mode or, better yet, establish new challenges and strive to become an over-achiever! I wish you the very best of health and success! John Abdo is a former Olympic Strength & Conditioning Coach, Inductee into the National Fitness Hall of Fame, Award-Winning Health & Fitness Expert, and the author of the critically-acclaimed book Ultimate Sexual Health & Performance™. For more information please visit www.JohnAbdo.com. This information contained in this article should not be construed as medical advice.